The Academy is a junior primary to Grade 12 school serving families in Halifax, Bedford, Sackville and surrounding areas of Nova Scotia. The author of an online petition against Coming Out Ministries visiting Nova Scotia says the anti-LGBTQ+ group has previously preached gay conversion at one of the Halifax's private Christian schools. Matt DeMerchant, a former student at Salt Lake Academy in Bedford, is alleging Coming Out Ministries gave several talks at the K-12 school in the past targeting the conversion of LGBTQ+ youth. 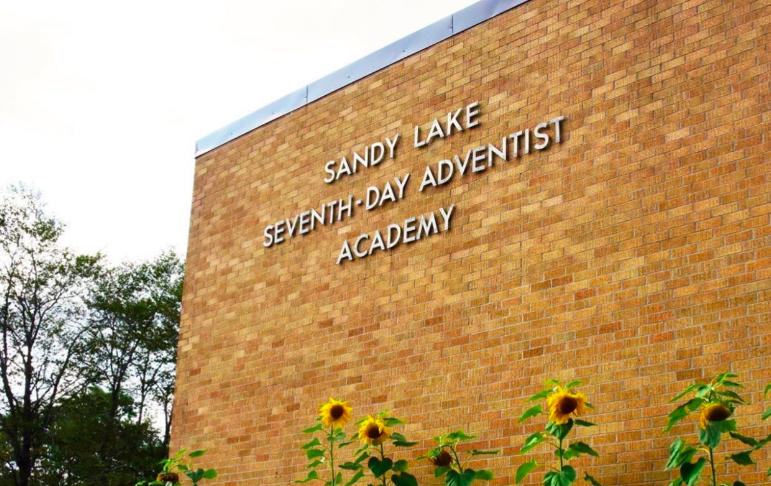 The Maritime Conference of the Seventh Day Adventist Church, which owns and operates Sandy Lake Academy, has already come under fire for its plan to bring Coming Out to Pugwash in July, including a second petition created by both The Youth Project and Halifax Pride. “Obviously we’re really concerned if this is happening in any school because we know this type of approach will cause harm to youth,” says Youth Project executive director Kate Shewan in response to this latest news. Sandy Lake Academy couldn’t be reached Friday for comment. When previously asked about the school’s stance on conversion therapy, principal Maureen Westhaver declined to answer. Westhaver, a former Maritime Conference board member, subsequently stated that “what they do is not connected with me” and ended the call. While the provincial department of Education can only speak for Nova Scotia's public schools, a departmental spokesperson says the guiding principle for those institutions is to provide a safe place that celebrates diversity and promotes respect. Use of practices like conversion therapy on minors is illegal in Ontario and Manitoba, but similar legislation protecting LGBTQ+ youth has not yet been proposed in Nova Scotia. DeMerchant could not be reached on Friday for comment, but the Nova Scotian states that he’s no longer trying to rectify his faith and his sexuality. When are religions going to accept and embrace LGBTQ+ people as they are?